Amitabh Bachchan singing National Anthem during India vs Pakistan T20 World Cup match on 19th March gave a Proud moment for every Indian. 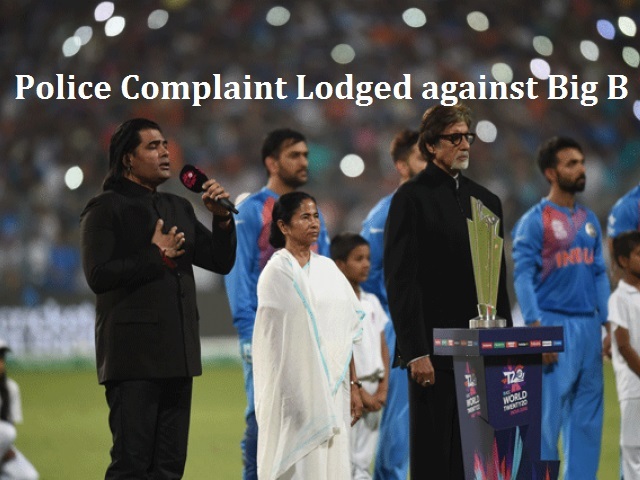 For almost all fans in the ground it gave feelings of patriotism, but shockingly there has been a complaint lodged against him in Delhi Police station on Amitabh Bachchan National Anthem. Amitabh Bachchan singing National Anthem in his own rhythm. The complaint was filed at Ashok Nagar Police Station, Delhi. The copy of this complaint is already sent to the Prime Minister Narendra Modi as well as Home Ministry Department. 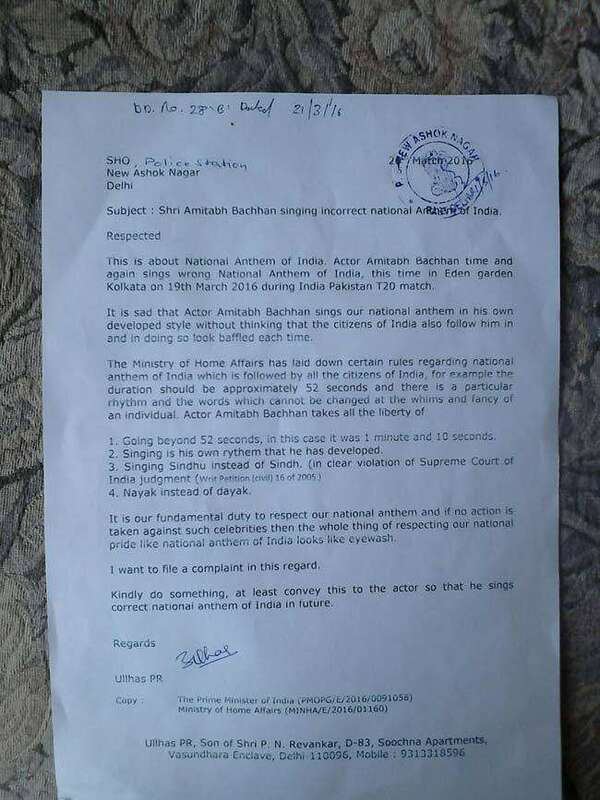 This is not a new thing, the actor already has a Police complaint against singing National Anthem in a wrong rhythm during Kabbadi Pro World Cup. The complaint was lodget at that time in Juhu Police station. Similarly, Shafaqat Ali, who sung National Anthem of Pakistan during the world cup also faced a similar issue and he had interacted with his fans in social networks to explain the issue. He stated that it was a technical fault and Audio glitches. He also apologized for his fans in Twitter and Facebook. Let’s see how long this issue is going to happen for our Big B Amitabh Bachchan. Stay tuned for more updates on Amitabh Bachchan Singing National Anthem police complaint.